I’m off for a couple of weeks now. Firstly up to Shropshire to get married, then off to Puglia on honeymoon. And, not to make you feel too jealous or anything, here is a picture of where we’re headed to in Puglia. Oh! 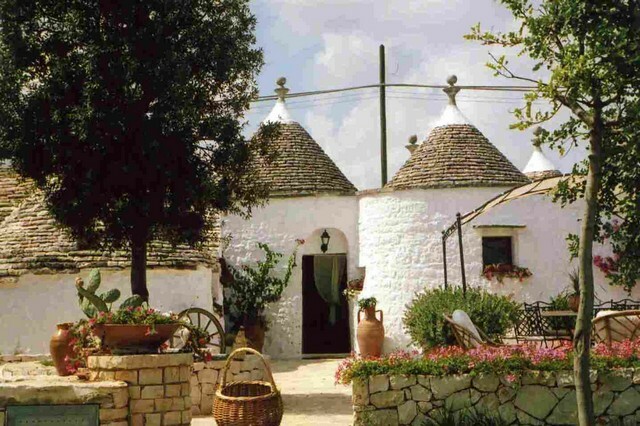 Those Trullo houses are amazing! Have a wonderful wedding and enjoy lots your honeymoon! I hope all goes to plan on Saturday, that you have a wonderful time and that your honeymoon is amazing! Have an amazing time! Congratulations!!! Sending up advance congratulations. I’m sure it will all turn out wonderfully. Oh Wow!! have a wonderful time!!! Congratulations – enjoy your day and wallow in your honeymooning!!! Boo hoo… I want to be there, both wedding and Italy, you wouldn’t mind if i crashed your honeymoon would you? Have a wonderful time, will be thinking of you over here in sunny Washington. All the best for your wedding and enjoy your honeymoon! It looks amazing – especially since autumn and cold weather creeps upon us!